Black door, relaxed chairs in a new alcove and upstairs to the sounds of the milonga “Lujos”on Thursdays. Once inside the main space, everything seems the same but so much better somehow. The re-opening of El Beso on Riobamba in busy Buenos Aires may have created an even higher level of affinity towards this special place. Briefly chatting with some of the regulars and very happily being seated at my ‘place’ the milonga slowly unfolds with much eagerness and high expectations of beautiful dances with incredible music. 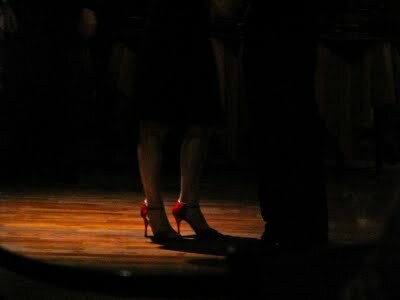 This is the place to dream, share an artistic expression of tango music with a partner and enjoy! This entry was posted in Isabella Szymonowicz.